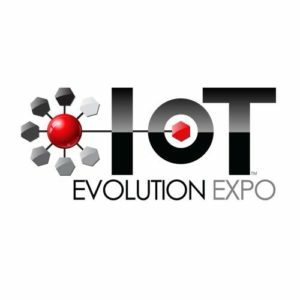 The 16th iteration of IoT Evolution Conference & Expo will kick off July 11-14, 2016 at Caesars Palace in Las Vegas. The event features a packed schedule of sessions, case studies, awards demos, keynotes, exhibits and networking events. IoT Evolution is the leading educational and networking forum for the IoT ecosystem and for any company looking to understand how to develop and implement IoT solutions that drive measurable results and business transformation. IoT Evolution will highlight how IoT technologies and the wireless network can be utilized to significantly improve business processes, minimize risk, spur innovation, and drive revenue. The event highlights IoT applications within all vertical markets and will concentrate on specific applications within the supply chain, transportation, energy and healthcare sectors. Members of the IoT ecosystem, including wireless carriers, application providers, platform companies, and device manufacturers, will discuss their roles in creating effective technologies and procedures that work to create an ecosystem for actionable data, information and efficiencies. IoT Evolution will show attendees how they can utilize IoT technologies in enterprise business applications – including supply chain management and mobile workforce applications, for smart home and smart building applications, energy management, mobile healthcare and more. Understand how IoT will take enterprise business processes, healthcare, and smart energy to the next level. VegasTech.com readers can take advantage of a discount code to save on conference passes. Use code VGSTCH at checkout to receive 30% off. There is also free admission to the exhibit hall, but those interested must pre-register.